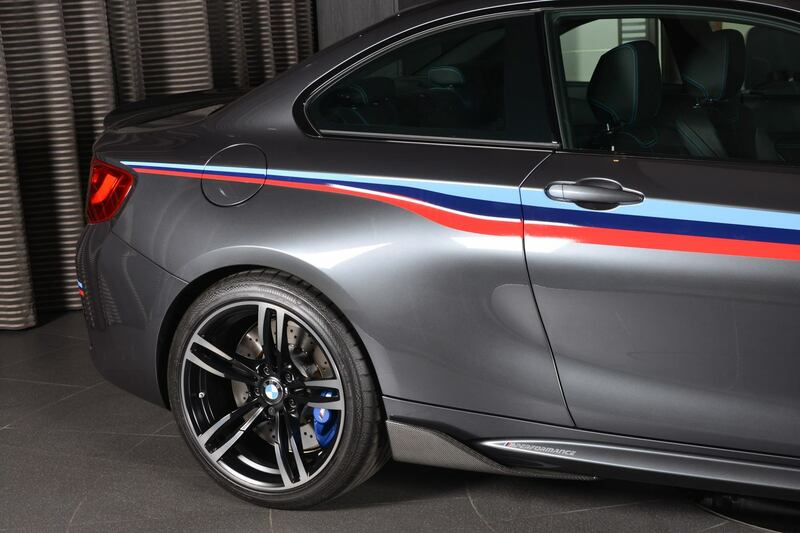 When it comes to BMW purists, there’s not a more appreciated letter in the alphabet than the one between ‘L’ and ‘N’. 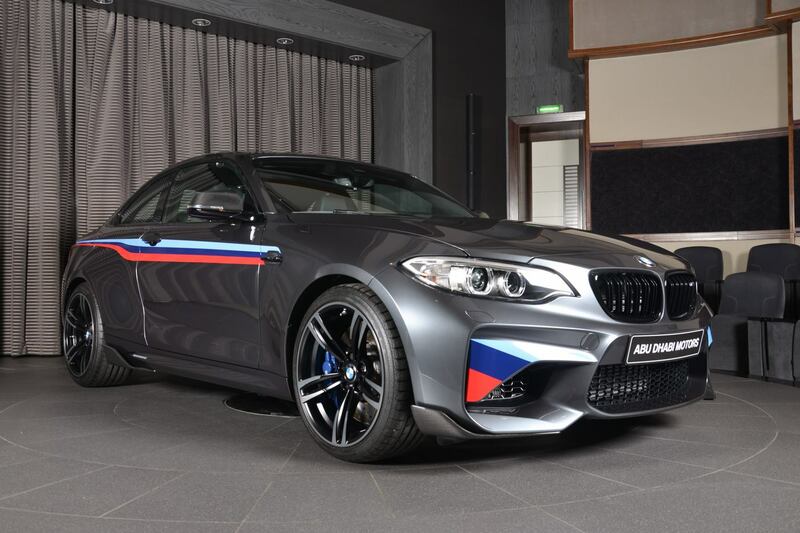 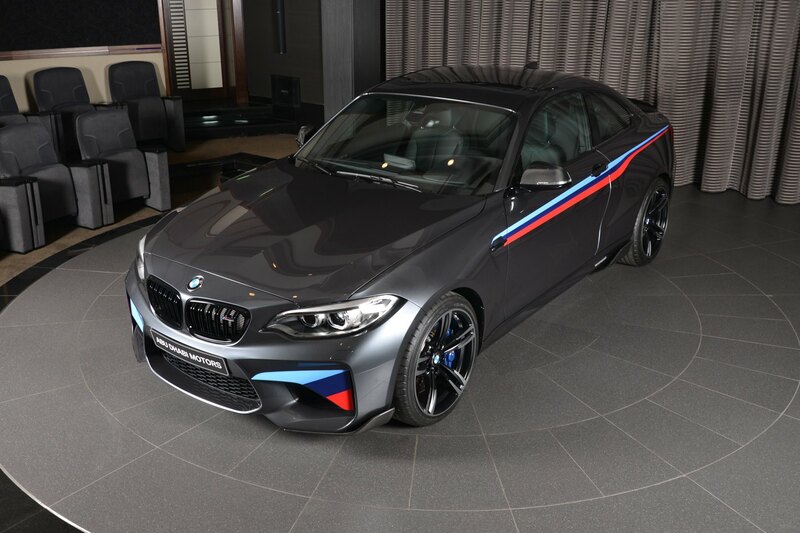 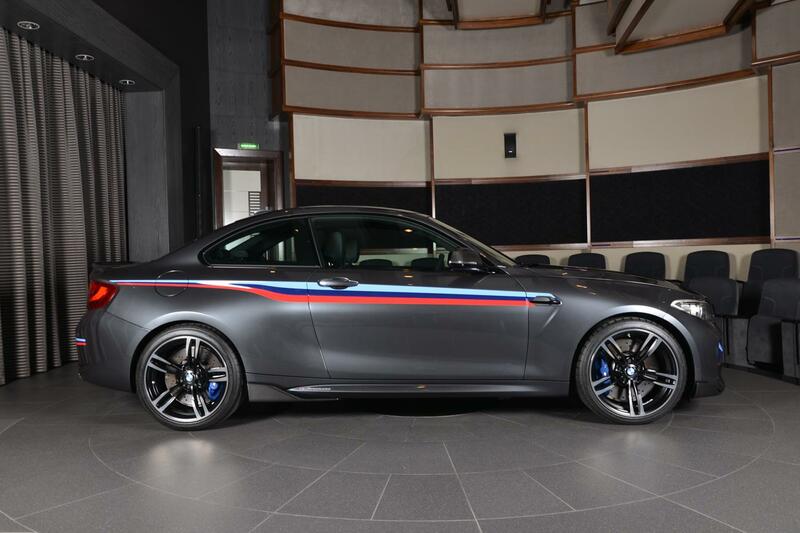 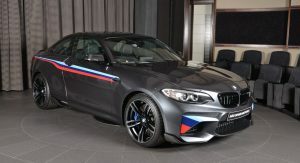 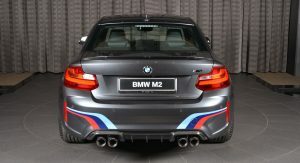 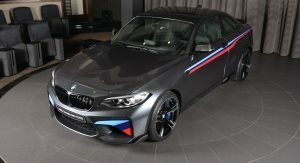 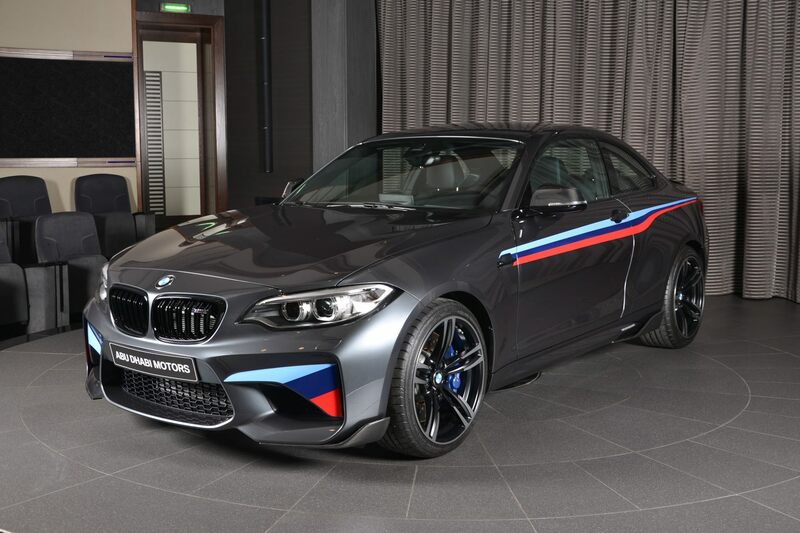 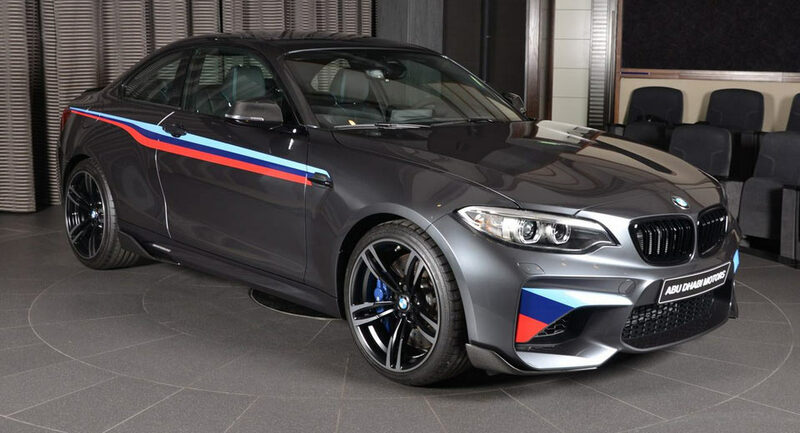 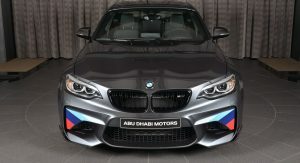 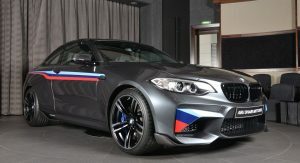 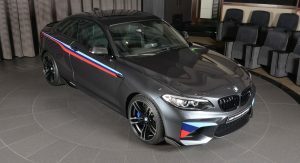 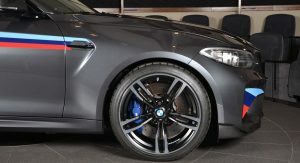 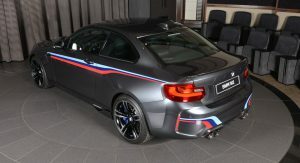 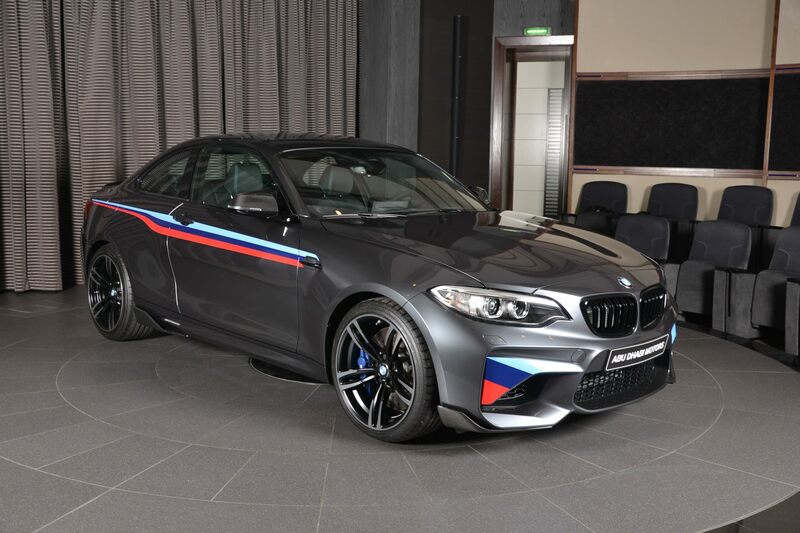 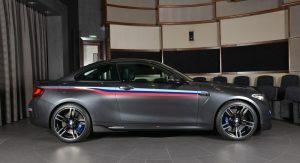 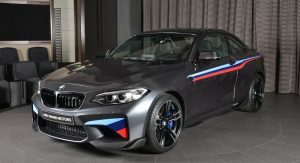 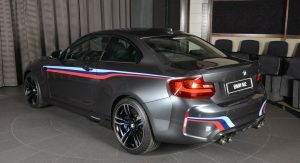 Yes, we’re talking about BMW’s M Division and everything that goes along with it – though in this case, we’re focused on an M Performance-equipped M2 with M stripes and a custom exhaust. 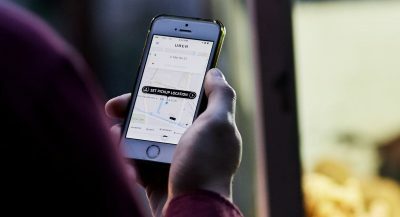 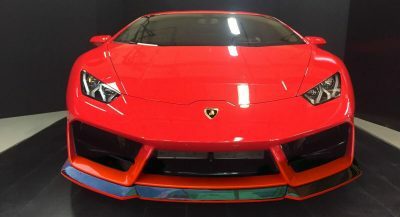 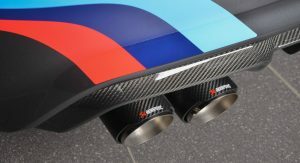 On the outside, it’s got carbon fiber on everything involving the aero kit, such as on the rear diffuser, front spoiler spoiler and skirt winglets, plus the trunk lid spoiler and even the mirror covers. 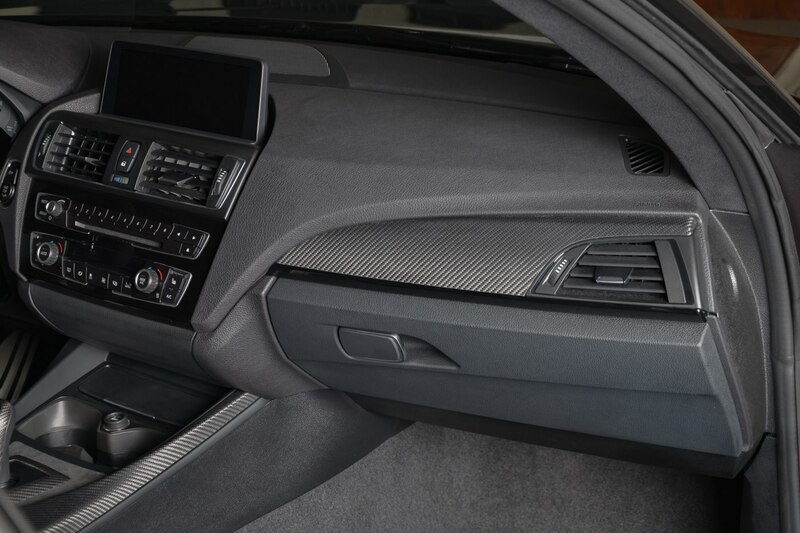 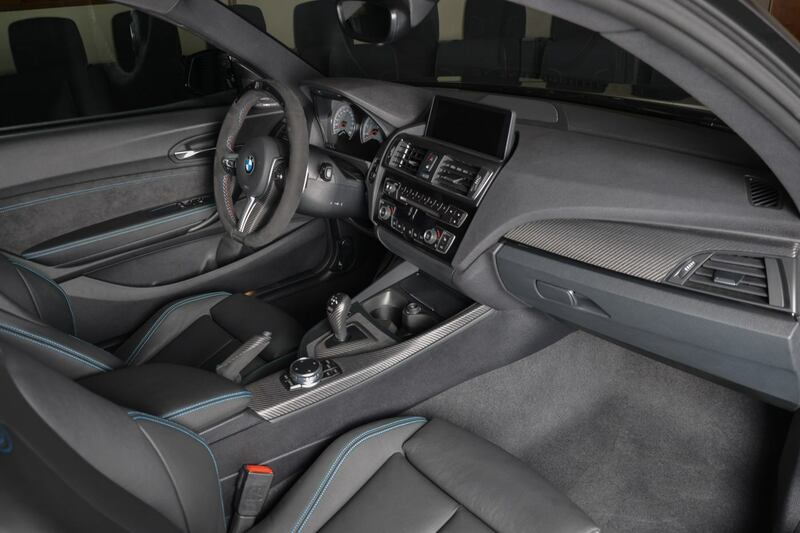 Inside, it’s got Alcantara on the steering wheel, handbrake lever (partially) and door panels, full leather seats with blue contrast stitching, and, again, plenty of carbon fiber plastered on the center console, gear selector, hand brake lever and steering wheel, around the vents, grab handles, and some on the upper dashboard on the passenger side. 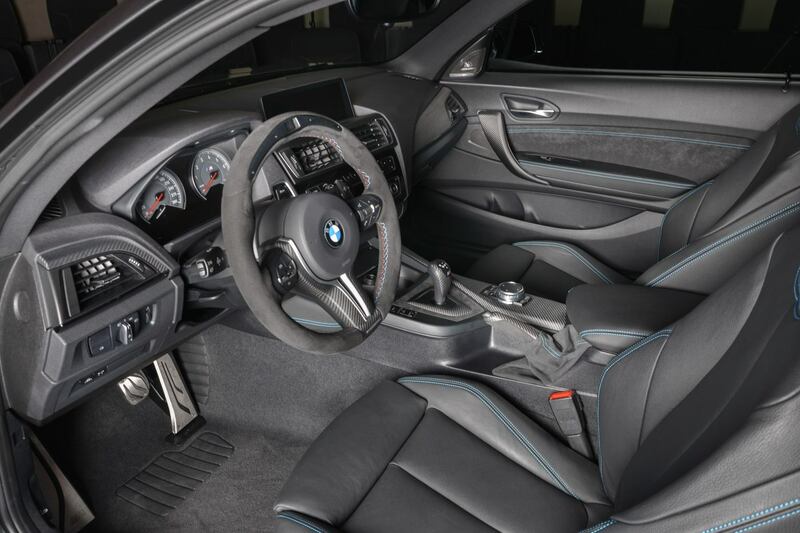 As you can see, the M Performance steering wheel features the race display, which is helpful for when you want to keep track of things like water temperature, gears, RPM, lap times, g loads and so on. 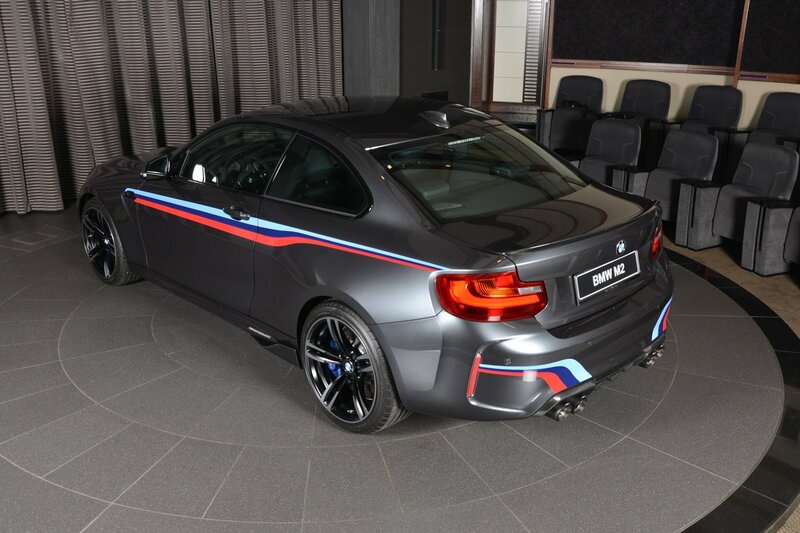 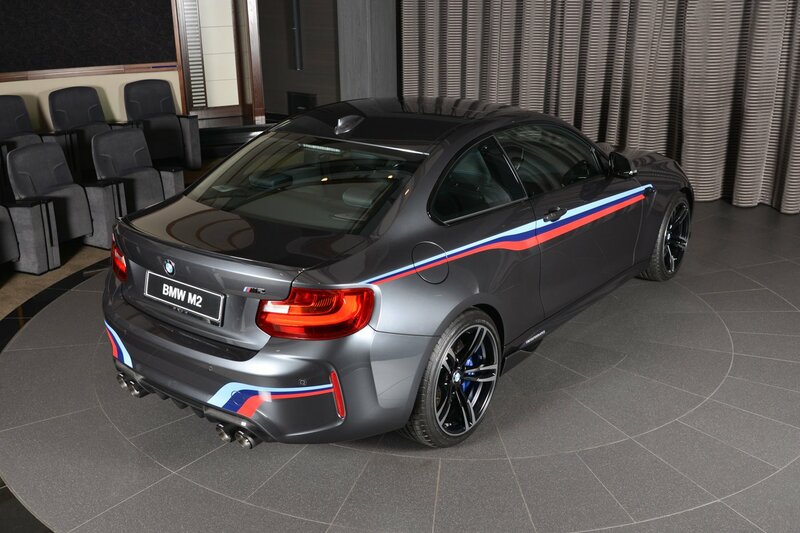 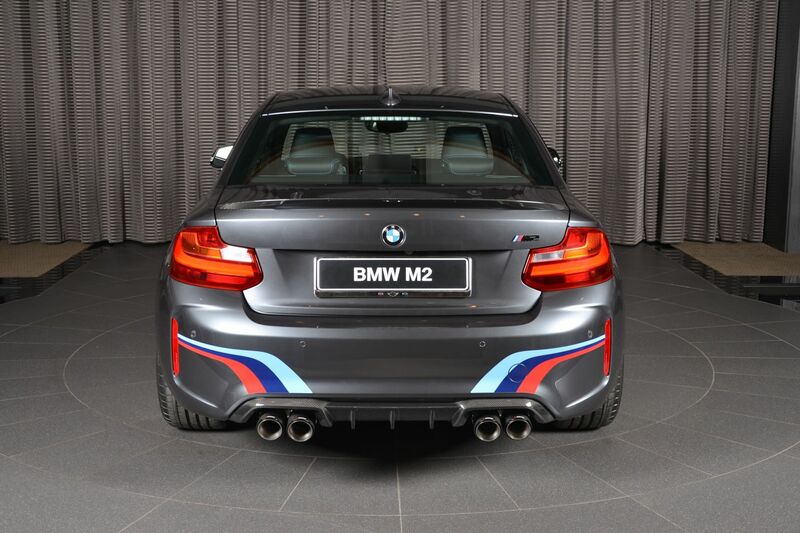 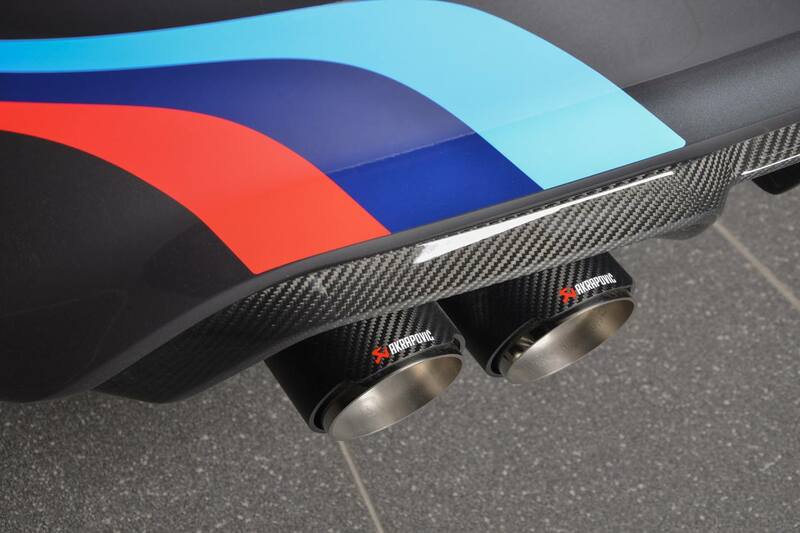 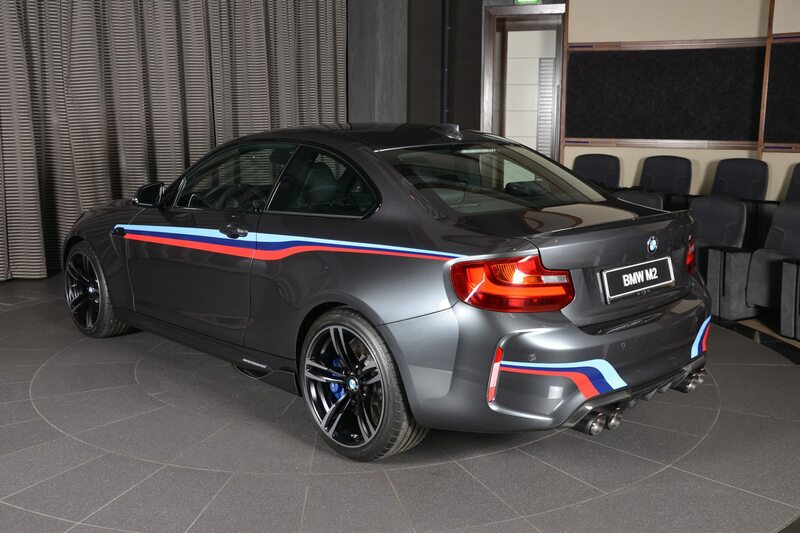 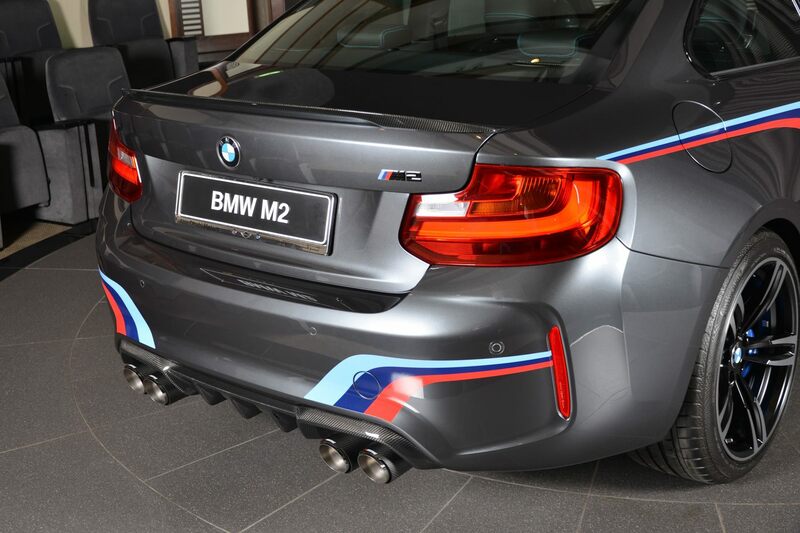 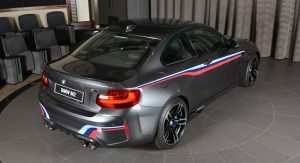 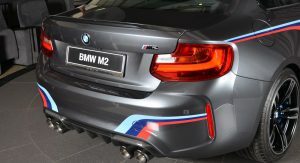 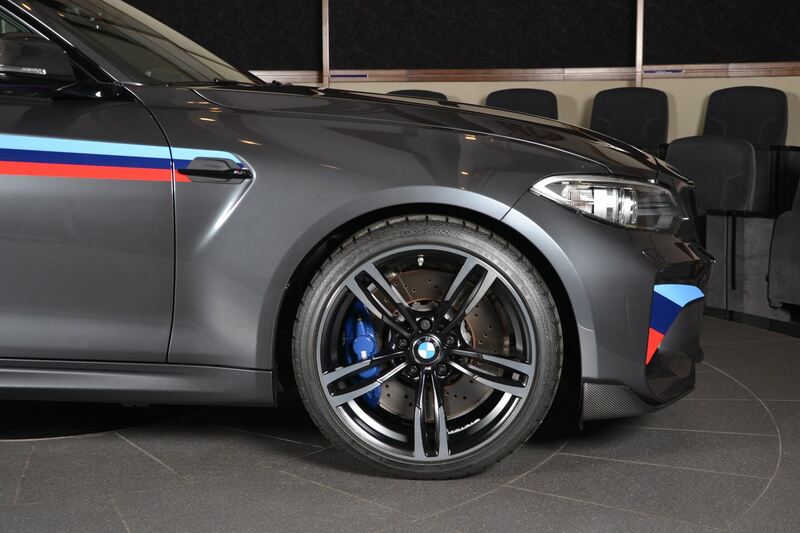 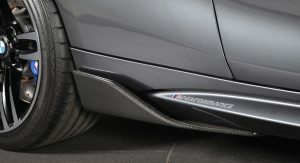 As for the custom exhaust, it comes courtesy of Akrapovic – and in case you’ve never heard it before on an M2, here’s a quick taste of what this thing sounds like. 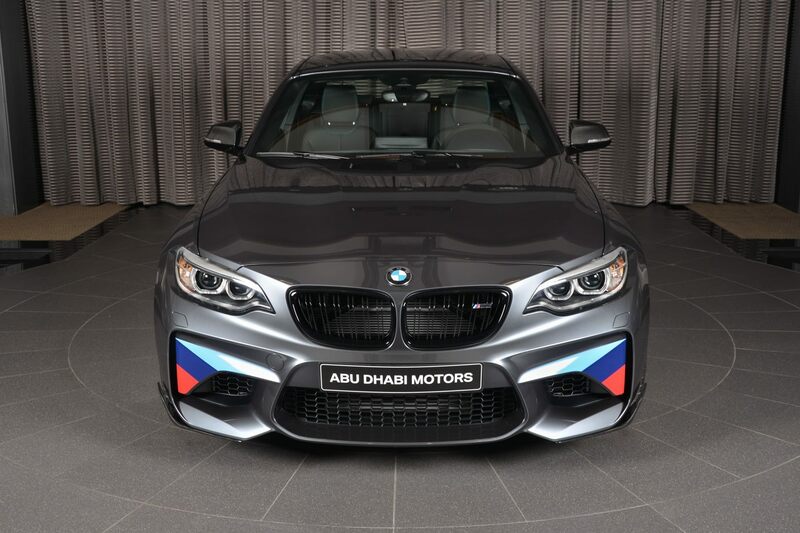 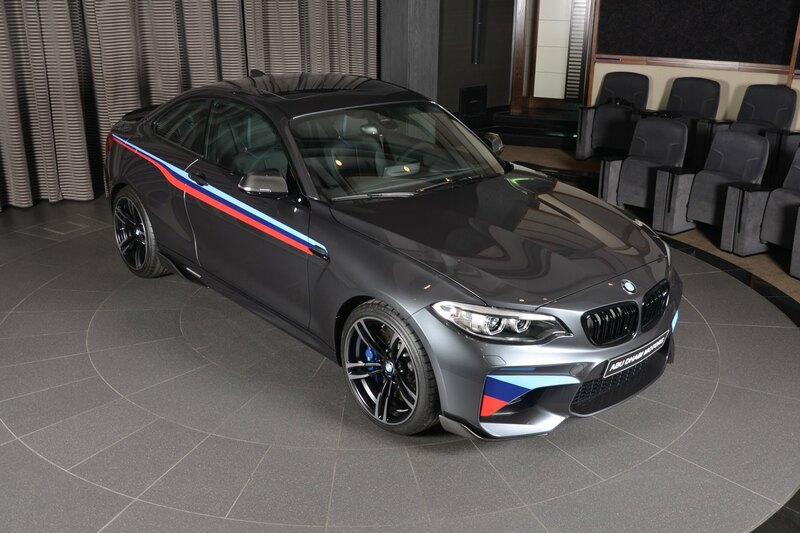 This car used to reside with BMW’s Abu Dhabi showroom a couple weeks back, so we can only assume that whoever ordered it, had the chance to already enjoy it – as one should when they’ve just purchased a 370 PS (365 HP) sub 5-second Bimmer. 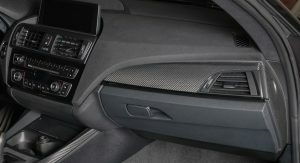 and so is the canted drivers seat. 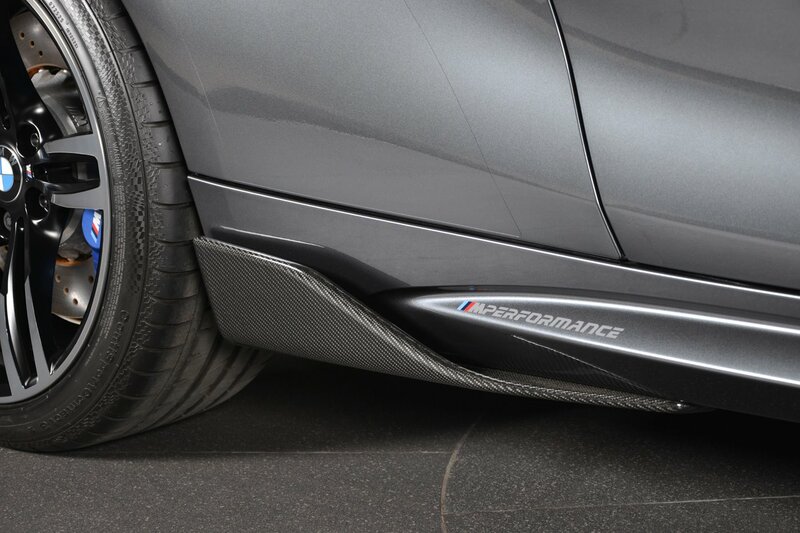 pass. 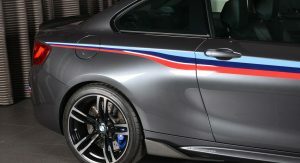 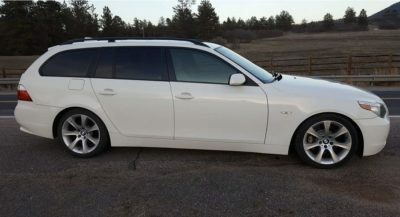 Why does this dealership always include the crappiest looking decals on these Beemers? 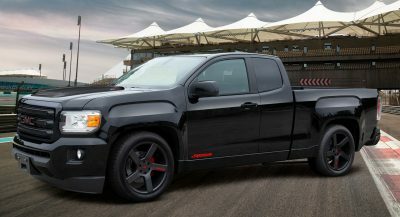 An overindulgence upon the options list.